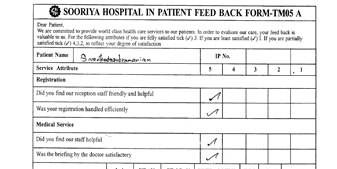 Sooriya hospital is the ultimate one stop destination for any medical assistance, right from general consultation to medical attention for acute and complicated cases. Sooriya hospital is serving patients round the clock. For any kind of emergency the patient can be sure of prompt response from our specialized medical team. 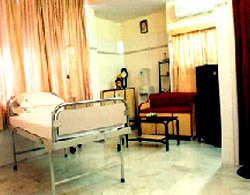 A 20 bedded multispeciality critical care unit is the pride of this hospital. It has 15 years of history of making survivors of people suffering from deadly diseases and has gained a reputed stature in this locality. A team of highly competent specialist doctors are available here round the clock so that the procedures and care is delivered to sick patients without any delay. The Nurse:Patient ratio here is 1:2 for non ventilated patients and 1:1 for the ventilated patients. A fully airconditioned unit with pleasing interiors gives the patient a feel of being in a star hotel. Infection control measures are well taken and the patients are safe from cross infection dangers. The mortality rate in this unit is very low as compared to other such units. 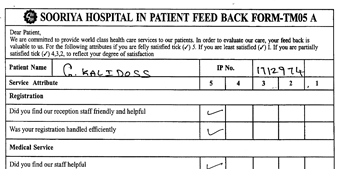 The team of doctors here are always result oriented and the quality of care is well monitored. Acute pain relief with regional blocks and other nerve blocks with nerve locaters.